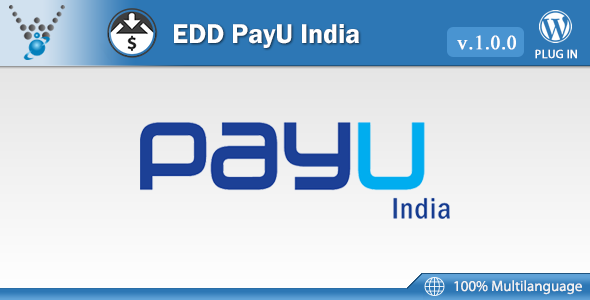 Easy Digital Download PayU India is a gateway plugin that extends Easy Digital Download, allowing you to take payments via PayU. PayU cooperates with Visa and Mastercard Credit Cards and Debit cards. This means that you easily can take credit card payments as well as direct payments via any of the associated banks. When the order goes through, the user is taken to PayU to make a secure payment. No SSL certificate is required on your site. After payment the order is confirmed and the user is taken to the thank you page. Note: This gateway only supports the INR currency. Physical Products, On-site Checkout, Credit Card Processing, Digital Products, E-wallet Balance, Mature Content.